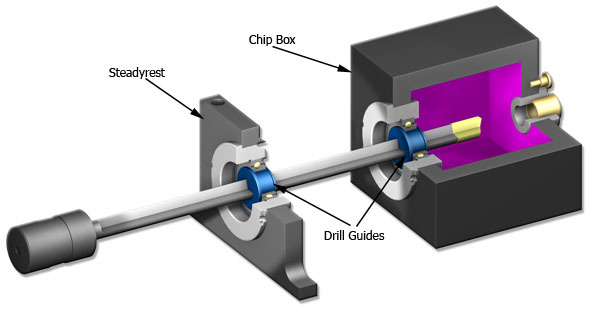 Flexible plastic Drill Guide bushings stop drill whipping and seal the chip box by stretching over the carbide drill tip and contracting onto the steel drill body. 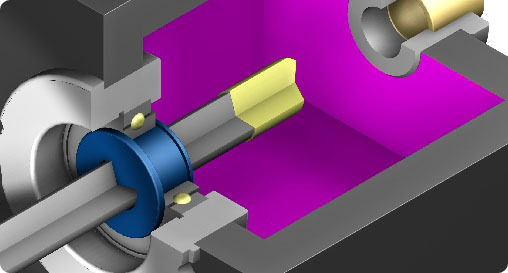 They are typically mounted in a bearing and rotate with the drill. This is our first and oldest product and is still used by many customers to maximize penetration rates, accuracy, and stop vibration. These bushings perform the same function as our SnapGuide®. Our signature Blue Bushings® guarantee you top quality.